At the beginning of this month, Google finally killed off its social networking website – Google+. However, it seems like the company already had a Plan B ready before it bid farewell to Google+. 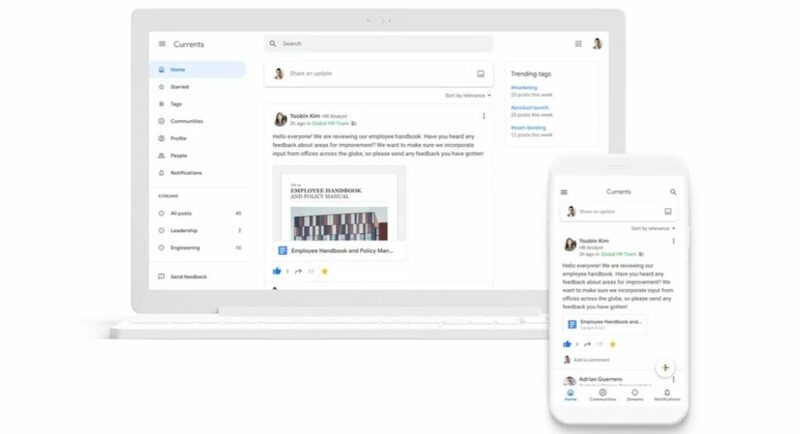 The search giant has rolled out an app specifically for its G Suite users called Currents. According to Google, Currents has a fresh look and feel about itself, as compared to Google+. The app is said to be designed in a way that it makes it easier for users to post content and tag it quickly. You can add people from your own company to Currents and the app will automatically give more priority to posts from your firm’s top executives in order to make sure that all employees get to see them. As of now, Google’s Currents app is available in beta, and the search giant has said that G Suite companies can request access for it. Furthermore, people’s or company’s Google+ posts will be transferred automatically to the Currents app. However, it is worth adding here that these would only be from Google+ accounts linked to G Suite, not the personal ones. It is also worth noticing that Google has recycled Currents name, as it was earlier a magazine app that was a predecessor of Google Play Newsstand. Later, of course, Google Play Newsstand itself got replaced by Google News. It also added that this move will affect both end users as well as admins.